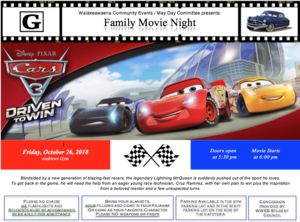 Waiakeawaena Community Events and May Day Committee presents: Family Movie Night! Friday October 26, 2018 in Andrews Gym. 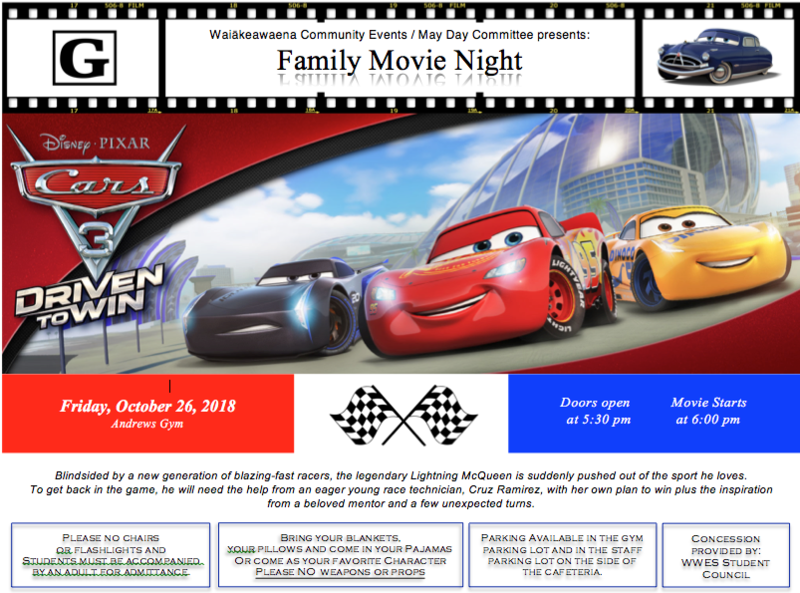 Doors open at 5:30pm and the movie starts at 6:00pm. Please read the flier for further information.